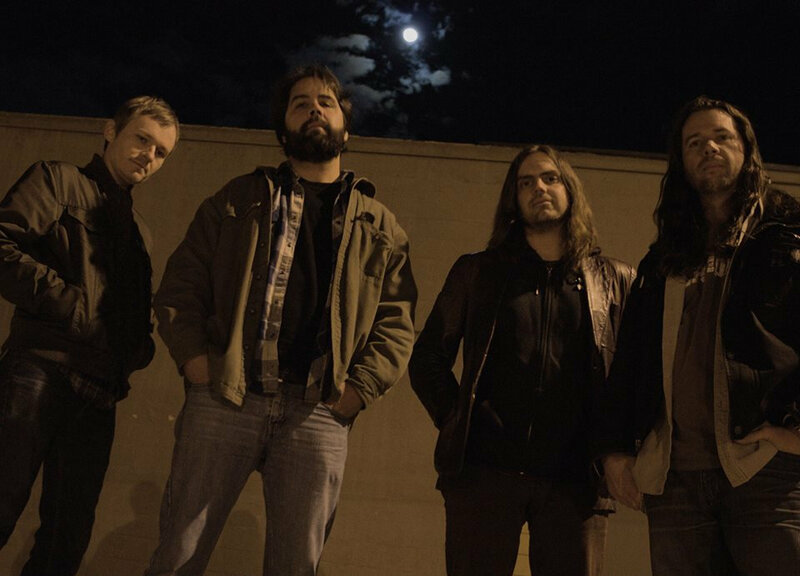 DEMON EYE "Don't Fear The (Carolina) Reapers"
North Carolina’s DEMON EYE unfurl their third full-length, managing to swing wide of the current “occult” trend, while focusing on – among other things – the darkness and light found in the modern world. 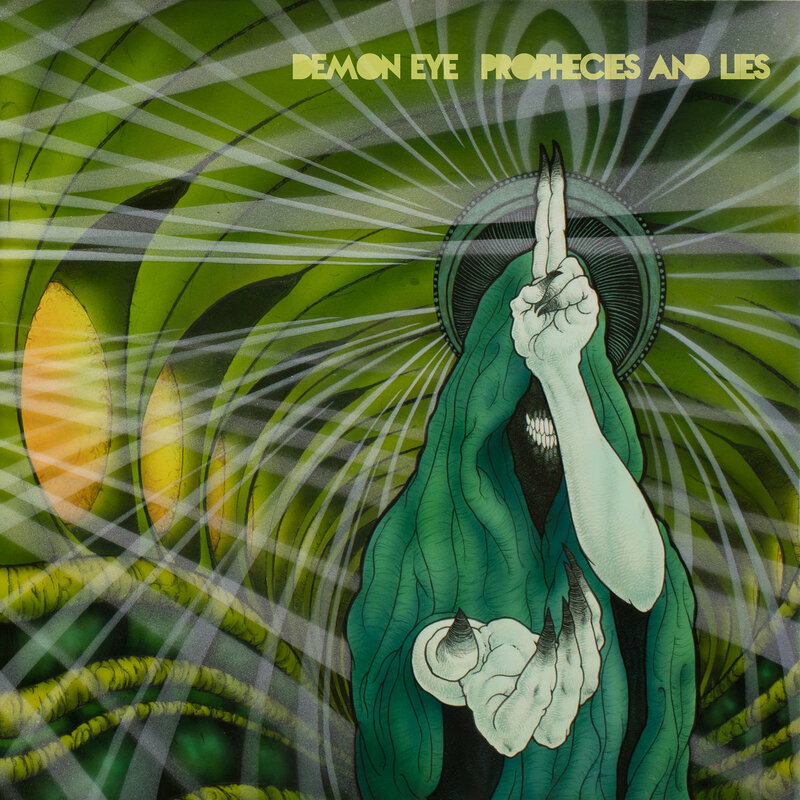 To do this while standing on a musical bedrock of DEEP PURPLE, LEAFHOUND and BLUE OYSTER CULT as influences is impressive enough, but Prophecies And Lies stands easily, and comfortably, alongside the giants of yesteryear. Lord Randall brews some special tea with vocalist/guitarist Erik Sugg. WORMWOOD CHRONICLES: I've got a working theory that it's a band's third album (if they make it that far) that is the band at their most “true” to their vision. You've got your whole life to write that first album. Then you do tours, those experiences brought on by the first album become even more part of you, and you take those experiences into album #2. By that third album, you're well into the groove, so to speak, and what comes out is the most “true” to what the band can be. Agreed? ERIK SUGG: Yes, I would say that’s an accurate statement. And like you said, this the sort of thing that can only occur after being the game for a few years. We’re generally always down for trying new things and evolving. That goes for writing new music and trying new ideas, and meeting new bands and performing for new audiences. We won’t be stopping anytime soon. WC: That said, were there things you knew you wanted to leave behind, be it in the writing or recording of "Prophecies And Lies"? Lessons learned, let's say. Anything you knew you wanted to focus on or explore? ES: This was the first album we recorded with someone different. Alex Maiolo, of Seriously Adequate Studios, did our first two records. He’s a good friend and we love the work he did for us. When the time came for us to start thinking about the recording for "Prophecies And Lies", I had become pretty good friends with Mike Dean. He had put it out there that he was interested in recording us if we wanted. WC: From 'In The World, Not Of It' and 'Please, Father' from Tempora Infernalia to 'The Redeemer' and 'Morning's Son' from the new one, there's some definite Judeo-Christian upbringing coming out, at least lyrically. I come from a smaller, ultra-fundamental denomination myself. Do you think maybe due to our geographic location (The South), even if you may not adhere to all the tenets of the way you were raised, that outlook can't help but color your writing? ES: Well, I can’t really speak on behalf of the other guys in the band because I have no idea what their thoughts are in regards to religion. For myself, unlike most other southerners, I was raised as a Catholic. These days I am not a religious person, nor do I identify with any organized religion. When I was a child I did all the Catholic stuff you’re supposed to do, like Mass, Sunday communion, first Eucharist, etc. Eventually my parents realized I wasn’t getting much out of the Catholic church, (and if anything, it affected me negatively,) so they stopped making me participate. As an adult, I consider myself to be a relatively moral human being, though not necessarily a spiritual one. Still, I can’t deny the influence that Catholicism has had on my life. The imagery, the ritualistic aspects, the solitude and the belief that there is a “flow” to the universe that is greater than you. I suppose it still guides me throughout some course in my life whether I like it or not. ES: Mike is a total mad scientist [Laughter]! It doesn’t take long after initially meeting Mike to realize that he’s a very animated guy. He’s a very funny and affable fellow. Mike has endless energy when it comes to recording and would often stop mid-take, think of a new idea that was the complete opposite of what we were working, and shout, “Hold on! Never mind! Don’t do that. Do this!” We loved working with him. It was actually his idea to record us with the old tape machine because he thought it would suit our overall sound. WC: Onto "Prophecies And Lies", now. Lyrically, what is the song 'Kismet' dealing with? If you would, walk us through the song from inception to completion. ES: I loved Bill’s drumbeat, and Larry and Paul locked into the grooves immediately. Lyrically, I was imagining the perspective of hateful individuals living self-righteous lives, damning everyone they feel is below them, and their realization when they’re old and lonely that they got it all wrong. Their anger and hate did nothing but decimate their soul, but in the end it was too late to change anything. WC: 'Politic Devine' and 'Power Of One' flow into each other in much the same way 'Heartbreaker' does into 'Living Loving Maid (She's Just A Woman)' from Led Zeppelin II. Were those written to flow together, or just an accident of inspiration, as it were? ES: It wasn’t intentional when we wrote the songs, but when the time came to decide the proper song order and overall flow to the album, those two sounded pretty slamming back to back like that. That’s cool you noticed that transition. I’m very OCD about track listings and the song order for our live sets [Laughter]! WC: What was the recording setup like? All in the same room, or each tracking separately? I ask because the album seems to have a very “live” sound. ES: The initial tracking was all live inside the same room. That was the segment that was recorded directly onto tape. It was all live. I believe we knocked it out in one night. Throughout the next week or two we went back in to record solos, overdubs, percussion, and vocals individually - and digitally. WC: Yeats' 'Second Coming' has always been one of my favorites of his, but really, it's hard to choose, isn't it? And so incredibly appropriate for today's world, don't you think? ES: Absolutely. I’ll never forget what it was like as a young man reading that poem for the first time. It really freaked me out. It was dark and prophetic, and left you feeling very little hope for the human race. The song where that poem is included, (the title track, “Prophecies and Lies,”) was a groove that Paul, our bassist, came up with. It was one of those situations where, instead of coming up with a vocal melody, all I could think of was that poem recitation. It was one of those situations where once you imagined something, you couldn’t unsee it that way. And speaking of Yeats, “The Waters And The Wild” comes from one of his poems as well. He was definitely my spirit animal for this album. WC: Plans for the rest of the year? ES: Our local record release show for “Prophecies and Lies” is happening next month, and we’re doing it alongside Captain Beyond! We are very excited. We recently played with Captain Beyond, BANG, and The Skull at the Maryland Doomfest. It was an honor to be on the same stage as those legendary bands.